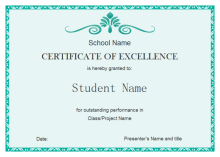 Customizable certificate templates that you can download to award students or company staff. 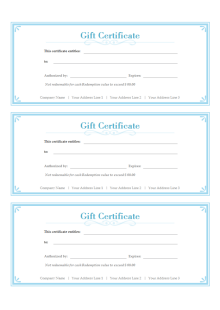 Create eye-catching certificates quickly from ready-made templates. You might have viewed lots of certificate templates from the website, but the ones you see on this page will be the most flexible and easy to use. Not only do we offer good-looking templates, but also we give you the tool and method, so that next time when you need similar materials, you can totally make them by yourself. Isn't that great? All the templates below are designed for general use. If you need further personalization, only a few more clicks to do. Visit the link to learn how to create great certificates with Edraw. Download a free trial and see first-hand how quickly and easily you can create effective great-looking certificates. Simply select a desired one and open with Edraw. Double click the sample text and replace with your own. Select a shape and click Fill button to change its fill color. (Tip: Remember you have to click more than one time to select a sub shape.) You can insert a logo or picture from Insert tab. Edraw is embraced as a practical and convenient certificate maker which is well received by novice designers. A variety of ready-made templates are included, and only through some minor changes, you can make them yours, with no professional skills required. Other than certificates, there are far more diagrams it could handle. Browse our website to see its wonderful features. You will gain endless benefits by having it. Edraw includes some examples and templates to help you get started instantly. You can open these templates and modify them to meet your requirement. You may want to learn how to edit certificate templates. 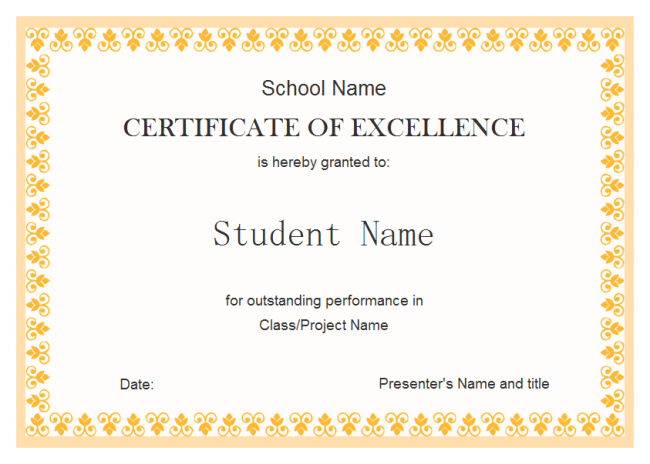 A simple student certificate example created by Edraw that you can download and use as a template to assist your certificate designs. 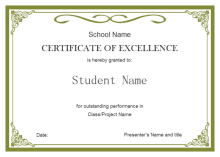 A student excellence certificate template is elaborately prepared in vector format for your own designs. Click the hyperlinked picture to download it. 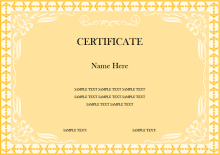 This certificate template is downloadable. It can be re-used by changing the content. It's designed with built-in certificate elements in Edraw. Download this award certificate template and replace the content with yours. 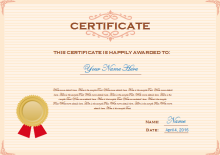 Using a ready-made template is the fastest way to design personalized certificate. 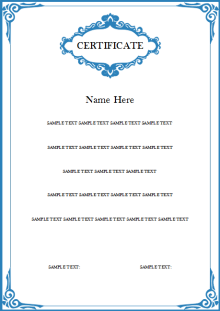 A vertical certificate template is provided if you need the vertical version. All the elements on this template can be customized and changed. Another vertical award certificate template is provided so you can choose the style you like. It's also easy to design a certficate like this on your own because all the components are already prepared in our software. 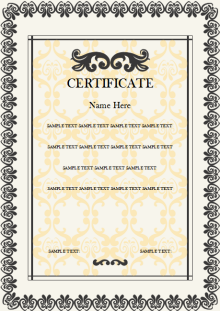 A certificate design template is elaborately prepared in vector format for your own designs. Click the hyperlinked picture to download it. 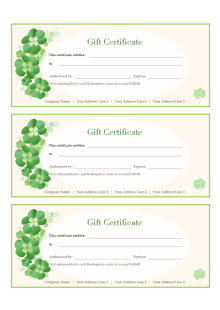 A simple gift certificate example is provided in vector format to enhance your design efficiency.